Let me make a confession. I do not love ice creams. Please note that I am not saying "I do not like ice creams", for I do like them. I know intimately the feeling of looking forward to eating an ice cream. I enter buffet halls with a general plan to concentrate on the desserts. For many an achievement that is major to me but will sound laughably insignificant to the rest of the World, I have asked myself , "Adarsh, you deserve to celebrate! How about an ice cream?" My visits to Malaikottai in Trichy are planned such that I always end up at the inimitable Michaels, where you get dead-cheap and yummy ice-creams. I prefer them with chocolaty flavors, and cornetto is my favorite. Lately, I have come to realize the deliciousness of the humble butterscotch too. Yet I do not love them. 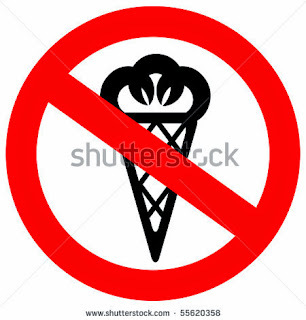 I have often said no to an ice cream when people around me enjoy one. It comes from the general lack of temptation that I have for food items. It is also due to my permanent cold. Cold for me is what style is for superstar Rajnikant : "kudave porandhadu, ennaikum pogadhu" (roughly : it was born with me, and it will never leave me). My mother loves ice creams, and she often tries to tempt me by offering a little from her own cup. "Come on, just taste it", she says. I usually refuse. After all, a single tiny spoon of ice cold dessert can aggravate your suffering as much as a large scoop. If I had to eat a single spoon, I argue with her, I would rather eat the whole of it. Talking about celebrations, I am happy to announce that I am back home from a country where I have spent most of my last year, and which has taught me a lot. In this tiny country whose existence was unknown to most people until recently (roughly coinciding with my entry there. I did warn you about my superpower), I have learnt a lot, and I have unlearnt a lot. I have changed so much, and yet I remain the same. I have no doubt that this year I spent away from my home country would be among the most significant times of my life. I was born in what is considered as the upper class in most Indian places. I read about racism and prejudice only in books. I would nod my head, make "tcchhh tcchhh" noises, and carry on. In his wonderful novel The Stranger, Albert Camus describes the way the World treats a single human being : with "tender indifference". That's exactly what I had for other people around me. You can make all the right noises, but you don't know racism until you experience it. I have, and I thank this country for it. Claiming that I have encountered racism is probably an exaggeration. Racism is something extremely subtle, and I can confidently claim that we have all been racists at some point of time. Should I even make a big deal of it? I think I must, because what I experienced seems systematic, and I would have experienced more of it if I had been as unfortunate as a lot of others around me. While on the topic of fortune, I have left a country that showed me how fortunate I have been in my life. Life has been unfairly fair to me. It is so unfair for so many people who do not get a chance at proper education, who end up in such places and put up with exploitation because things back home are much, much worse. I also learnt that speaking good English is not a necessity to communicate well in English. Men of various languages meet everyday and carry out complex tasks with an extremely basic knowledge of English. "Good ah?" is a question, and "good" is the appropriate reply. "Problem" is the question as well as the answer based on the intonation. And most importantly, I learnt the power of money. Money can make a desert land fertile. Nothing is impossible with money. Money can also make one indifferent to suffering of others. Tenderly indifferent. Yet, I chose to run away from all these to a place that would make me feel better. Is my home any better? A lot of people have argued with me that it is not. There is racism in India, though I am on the right side of the it. There is corruption. There are evil people. There are people who are not evil, but who occasionally "bend" a law or two. There are narrow minded people, and there are violent people. The rich decide the policies, and the poor rarely have voice. And I might run away to another place once again if I get the opportunity. But, my personal feeling is that none of this is systematic. There is a possibility, however tiny, that all this will change. Our country is a little less evil than the country I left. If both countries, probably like all other countries, are evil, why should I choose one over the other? Especially if I can make more money in the latter? Because, I have come to realize that there are times when a single spoon of ice cream is not the same as a whole scoop of it.